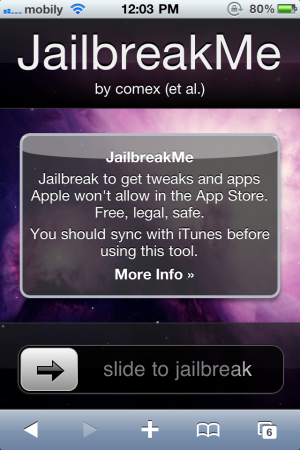 JailbreakMe.com has been reopened and now it offers an easy jailbreak for iPhone and iPad devices. Just visit the website and slide to start the jailbreak process, no computers needed. We take no responsibilities for the jailbreak. This Jailbreak relies on a security vulnerability in Mobile Safari on iOS and we expect Apple to patch this in an update. The website address is: JailbreakMe.com. Jailbreak is now officially legal by the way. GR88888,, anybody can JB easily, & FREE and Hassle-Free … no need to goto Murs*** Mobile Market… and pay SR…SR….SR…. What a great news… i’ll jailbreak my 3Gs anytime soon. But will that make the iPhone SIM-free? 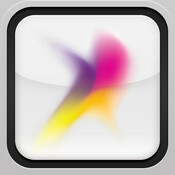 I am not able to set MMS and facetime setting on iPhone4, I am using jailbreakme tool.